Another unbelievable effect from Johnson's. 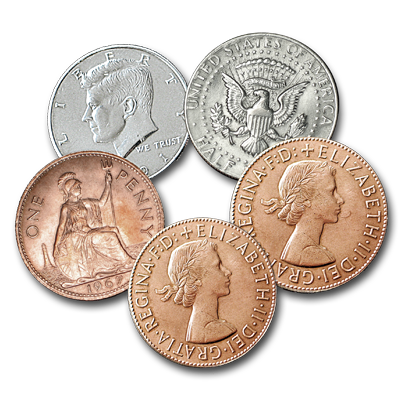 Two coins are displayed and yet after multiple removals from your hand, both silver and copper, they are constantly reunited! An amazing and entertaining effect. And as always precision. The uses for this set are unlimited due to the multiple coins involved, to include the best sun and moon coin anywhere!